Description: The ferry that runs between Mhaura and Al Zahbi. Comments: This trip takes about 16 minutes Earth minutes to complete a trip, one-way. 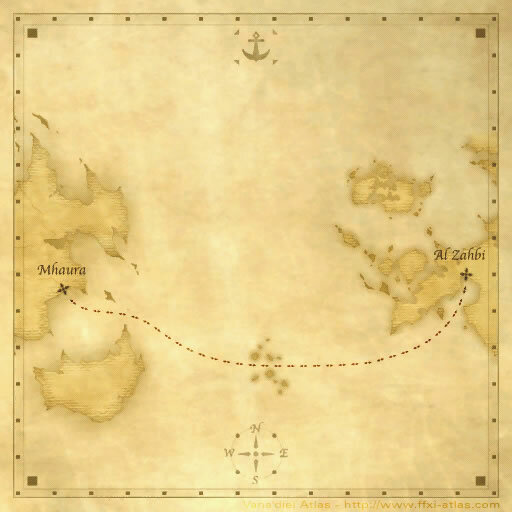 The ferry that goes to Al Zahbi arrives in Mhaura at 4:00, 12:00, and 20:00 every Vana'diel day.